« JAAS Issue 4 now online! 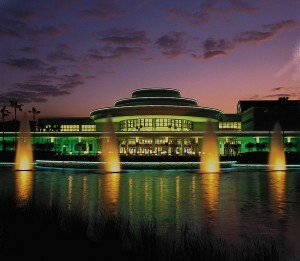 The 2012 Pittsburgh Conference on Analytical Chemistry & Applied Spectroscopy, Pittcon, was held on March 11 – 14, 2012 in Orlando, Florida. Over ~1,280 oral presentations and ~100 short courses on all aspects of analytical chemistry were presented. Clearly, one highlight of the scientific program was the session entitled “Advancing analytical technologies for human health and security”, organized by Dr. May Copsey, Editor of the Analytical journals at RSC. Distinguished scientists Prof. Gary M. Hieftje, Prof. Joseph Caruso, Prof. R. Kenneth Marcus, Prof. Roy Goodacre, and Prof. Zheng Ouyang gave well-received lectures on their recent discoveries. Prof. R. Graham Cooks, Purdue University, gave the Sunday plenary lecture and demonstrated how ambient ionization and miniaturized mass spectrometers can help to promote human health and forensics. A number of new analytical instruments were launched at Pittcon. Of interest to a large number of JAAS readers might be the new iCAP Q ICP-MS, launched by Thermo Scientific on March 12. This new instrument comes shortly after the launch of Agilent’s new 8000 ICP-QQQ at the Winter Conference on Plasma Spectrochemistry in January 2012. Great to see that the ICP-MS market is back in motion again. The RSC booth on the exhibition floor was very busy thanks to free coffee and – more importantly – the presence of RSC journal editors and staff. Many visitors stopped by to meet, greet, and to learn about new things at RSC. Interestingly, the exhibition was smaller compared to previous years and major companies, namely Perkin Elmer and Agilent Technologies, skipped the show. In total, approx. 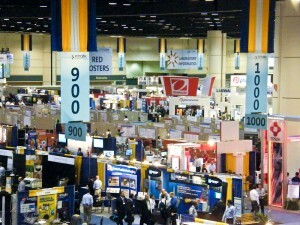 15,500 attendees visited the conference and expo. If you attended the conference and would like to share your experience, please leave a comment below. Pittcon 2013 will be held in Philadelphia, PA, March 17 – 21, 2013. Of course, this is just a personal view and many more instruments from other companies are available as well. For more information please visit, e.g., the scientific instruments database provided by EVISA.